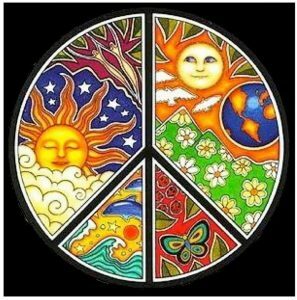 Come and join us to celebrate the Spring Equinox. This is a wonderful time of year to de-clutter your mind and make space for what really matters. 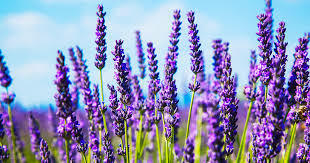 to restore, refresh and rejuvenate your mind, body and soul. 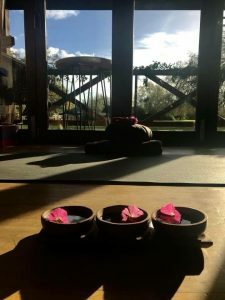 Nestling amongst the Andalucían Mountains this venue provides the perfect backdrop for a peaceful and tranquil yoga retreat. 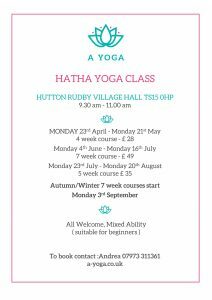 2 Daily Yoga sessions suitable for beginners and intermediate levels. 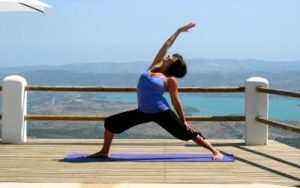 Enjoy my daily morning Hatha session, a balanced & holistic flow sequence will be introduced each morning to energize you for the day. 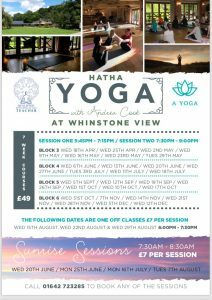 Evening zen sessions shall unwind with more restorative & relaxing Hatha Flow that focus on healing and letting go. 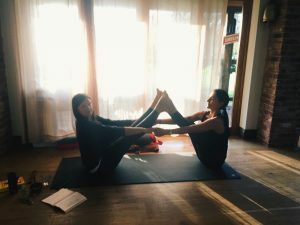 Both classes are designed to help you develop your own personal practice once you leave the retreat. meditation technique that will help to create a calm, creative and peaceful state of mind. 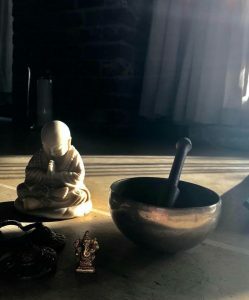 Evening Yoga Nidra and sleep preparation sessions. 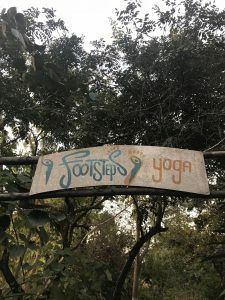 There is a purpose built yoga circle in the shade of the trees on the mountainside plus a yoga yurt for indoor practice. A second space between the buildings is used for meditation . 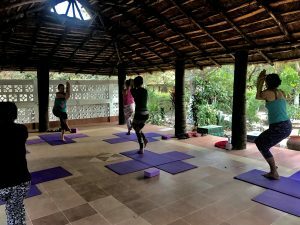 It is also possible to do yoga indoors in the dining room, with its full length panoramic windows and fantastic views, or on the deck beside the swimming pool. As keen nutritionists the owners offer raw food options at some meals. The food is delicious. The retreat is relatively isolated and car hire is recommended if you wish to explore the region. 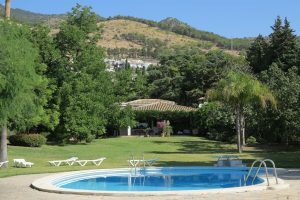 The nearest village is Periana, 4 kms away down the mountain – here you will find a variety of shops, cafés and a restaurant. Horse riding (one hour away), visits to the hot springs and other excursions can all be arranged by your hosts. A short walk away, within the hamlet, is a local bar (picture below) with coffee, drinks and snacks, these are also available on site from the in-house bar. 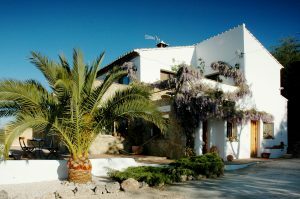 Your basic holiday includes vegetarian, vegan or raw food diet options, with one night dedicated to a trip to a local restaurant where you can buy a Spanish meal for a modest price. 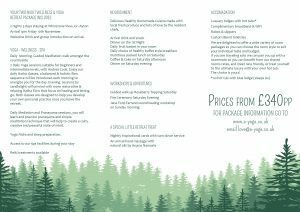 A large breakfast/brunch will be served after the morning yoga class and dinner after the evening yoga class. A snack is provided at lunch time. All the facilities here are of a very high standard although we feel we should point out that the rooms are small – but perfect for your needs. 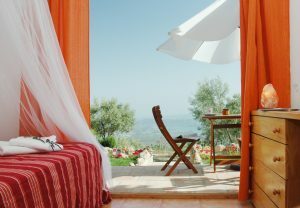 There are 8 single rooms and 1 room with a double bed which serves as a double or single. All rooms have en-suite facilities with a terr- ace; look down the mountains over the lake (on a clear day you can see Africa) . 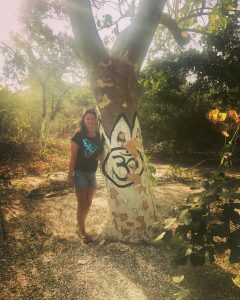 Accommodation, yoga, daily breakfast, a light lunch and dinner on 6 nights . 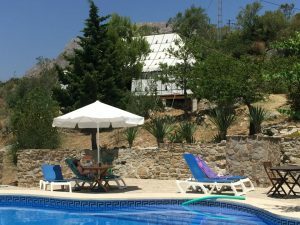 Not Included: Flight to Malaga, transfers, travel insurance. There will be one day without yoga and dinner. Instead you will be taken to a typical Spanish restaurant where you may purchase your own meal. 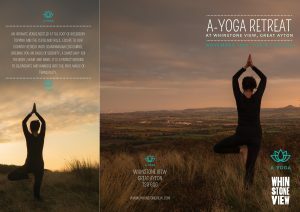 I am looking forward to teaching at the British Wheel of Yoga festival this year, the theme is Peace, the event will be held over two day’s you can either attend just one day or make a full weekend of the festival. 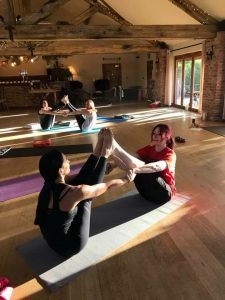 My class summary is “Refining the links between body and breath, creating peace within” I shall be teaching on Sunday 8th at 9.45 till 11.00 am. The Festival will start at 9.00 when you can register and choose your morning classes and we will be finishing at 5.00 pm each day. Session 1 will run from 9:45 – 11:00, Session 2 from 11:45 – 13:00 and the afternoon session from 15:30 – 16:45. The event will consist of lots of different classes with local teachers. 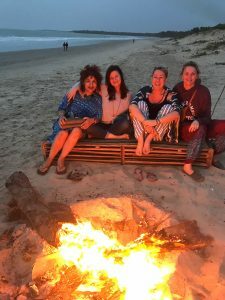 Jane Farrimond is the headlining teacher, she will be teaching in the large hall, Caedmon, and will be doing three sessions each day, two in the morning and one following the afternoon break. 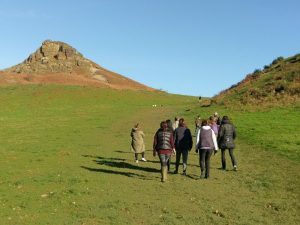 Lunch and refreshments are included in the price which is only £40 per day for BWY members and £50 per day for non-members. 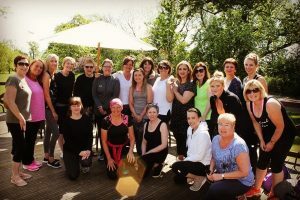 A Celebration of Life After Cancer (COLAC) Aroma-Yoga Day: as a trustee of COLAC, I’d like to thank Amanda Wray-Ward and all the staff at Whinstone View for providing the perfect setting for our fundraising event. A special thank you to Andrea Cook, for her beautiful yoga session. 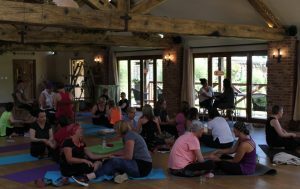 Combining the disciplines of aromatherapy and yoga we created a special wellbeing day for local ladies who have all had a cancer diagnosis. 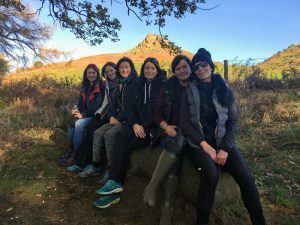 £335.40 has been raised to help individuals and families in the North-East experiencing financial hardship as a result of a cancer diagnosis. Thank you to everybody who attended. I have a very special event coming up in May that I am really looking forward to teaching. 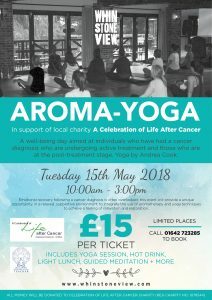 Aroma Yoga will be a unique event which offers a well- being day aimed at individuals who have had a cancer diagnosis who are undergoing active treatment and those who are the post treatment stage. 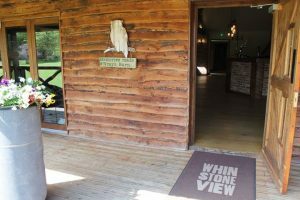 Relax and unwind in the peaceful surroundings of Wray’s Barn and Whinstone . Due to space and safety we have limited spaces so please book ASAP to secure a place. All money will be donated to A Celebration of Life After Cancer which is a local charity. 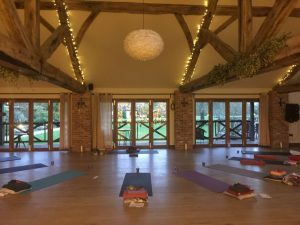 Introduced to the charity, aromatherapy talk by Laura Ashurst, Yoga Mediation and Relaxation with myself, followed by a light lunch and tea all included in the ticket. 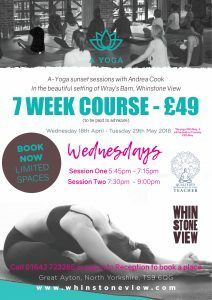 New Whinstone View Retreat dates coming soon !